Trainer Blair Burgess of Milton, ON said he often enjoys reading the plaques at the Canadian Horse Racing Hall of Fame at Woodbine Racetrack in Toronto. He said the fact his name and bio will soon be joining some of the biggest legends in horse racing history is overwhelming and humbling. Burgess, a self-professed city kid from Toronto, said racing horses is all he’s ever done. At the time of his induction, Burgess, who is still active, had accumulated 1,040 wins and earnings of more than $27.6 million as a trainer by the age of 55, including a rarity few North American trainers can match — victories in the sport’s biggest events for both pacers and trotters and Horse of the Year honours on both sides of the border with horses of either gait. Burgess has twice won trotting’s Hambletonian (Amigo Hall in 2003 and Glidemaster in 2006) and twice won the Meadowlands Pace (Frugal Gourmet in 1987, Real Desire in 2002). He also sports wins in the Little Brown Jug (Tell All in 2007), the North America Cup (Tell All in 2007), the Kentucky Futurity, the Trotting Triple Crown (Glidemaster in 2006) and a Breeders Crown (Real Desire, 2001). 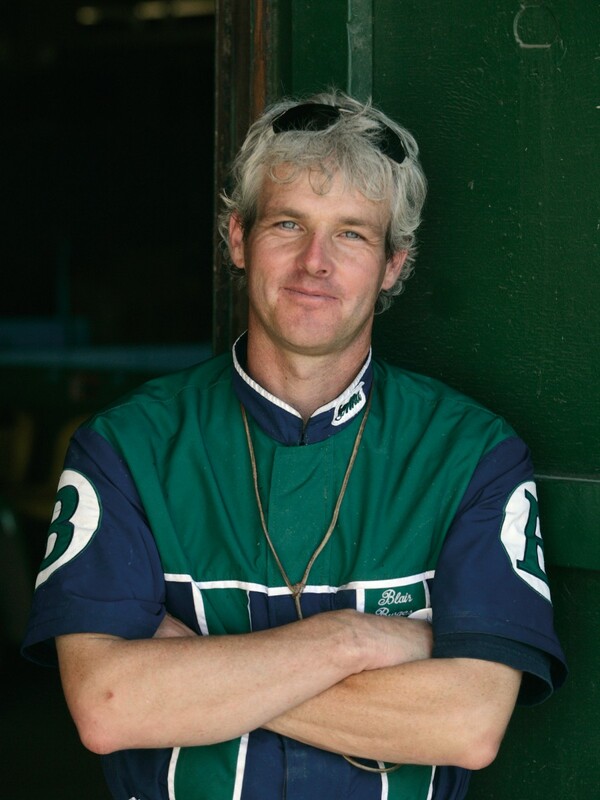 The trainer received an O’Brien Award as Canada’s Trainer of the Year in 2007. He was also named Canada’s Trainer of the Year in 1987 before the O’Brien Awards were started. He has trained winners of seven O’Brien Awards, and nine U.S. Dan Patch Awards. Real Desire was named the Horse of the Year in Canada and the United States in 2002, Tell All shared Canada’s Horse of the Year Award with Somebeachsomewhere in 2007 and Glidemaster was named the U.S. Horse of the Year and Trotter of the Year in 2006. Two of Burgess’ trainees have been named the U.S. Pacer of the Year — Real Desire in 2002 and Tell All in 2007. Horses trained by Burgess that earned in excess of $1 million include: Real Desire, Glidemaster, Tell All, Western Ideal, Amity Chef, Quality Western and Amigo Hall. Burgess said he owes at least half of his Hall of Fame honor to his wife, Karin Olsson-Burgess. “If an award can ever be shared it is definitely half Karin’s,” he said. “I know everybody says that and it has become cliché, but with me it’s true. She made just as many of the training and management decisions on the good horses, and cleaned a heck of a lot more stalls. Honorable mention to my two lifetime second trainers Bill Rapson and James Carmichael. Burgess joins his father — lawyer, breeder and owner Robert Burgess — in the Hall of Fame. Robert was inducted as a builder in 2011.